STEP 1. 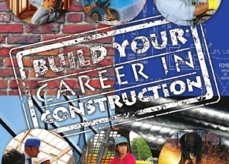 Click here to learn about apprenticeships in New Jersey’s building and construction trades. STEP 2. Complete our NJ H2H Online Registration or download and send our NJ H2H Registration Form. STEP 3. Create a National Helmets to Hardhats profile at www.helmetstohardhats.org. STEP 4. Create an account with your local one-stop career center.